December is finally here, which means Christmas is just a few weeks away! 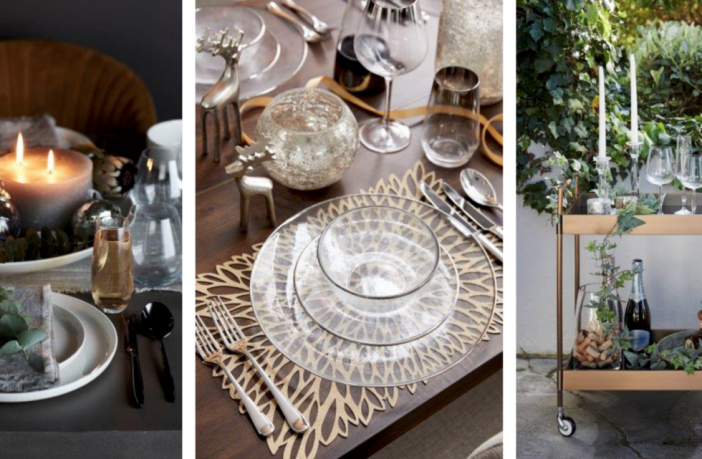 The dawn of December also means it’s time to start decorating your home for the festive season and Decorex SA has started to unwrap some of the holiday season’s most stylish trends. Inspired by creating a comfortable, family space away from the hustle and bustle of everyday life, this year’s festive season trends blend traditional inspiration with contemporary finishings. Think classic crystal table settings, fine china and elegant flatware along with more traditional holiday decor like wreaths and candles. Here’s how to incorporate this fusion of styles into your home these holidays. Forget over the top Santa cutouts and colourful Christmas decor, simple, clean, muted tones have made their way onto the scene this holiday season. For a sophisticated festive look, incorporate silvers and whites into your table decor along with glossy, reflective table surfaces that offset twinkling Christmas lights. Try small, delicate baubles, simple, clean candleholders, long-stemmed candles, and brass and copper buckets for an interesting twist. Circular mirrors are super on-trend at the moment so why not incorporate it into your holiday decor? Add circular mirrors in your dining room space to break up the linearity without being overwhelming. If big mirrors aren’t your thing then glass, especially handblown glass, is perfect to add a festive touch to your home. Try hanging small mirrors on your tree as decorations, or putting up glass lanterns or baubles to add an air of elegance. Stemless, rounded wine glasses will finish off your table setting in a sophisticated manner. The minimalist trend extends to colours this Christmas as well. Continue the minimalist theme with the addition of geometric shapes and muted grey and blue tones to create an air of serenity and coolness during the summer holidays. Or, for a more moody vibe, go for darker tones of grey and black along with candles and ferns to add some festivity to the space. Look out for black and white geometric Christmas stockings and gift wrap, monochrome printed table runners and clean-lined metal tree decorations. But it doesn’t have to be all toned down this festive season. Infuse minimalist decor with warmth by using dried flowers and branches in your decor. These work well with clean lines and smooth glass. 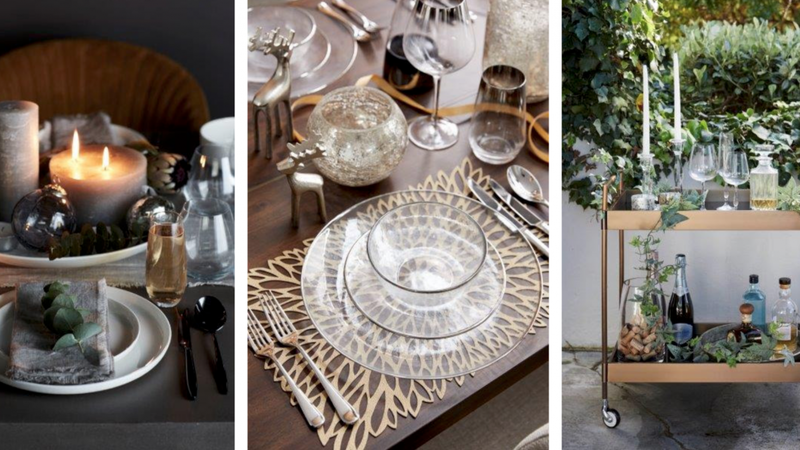 Wooden items with metallic accents blend traditional with modern – try incorporating wooden bead accessories into your table setting for a proudly South African look and feel. Keep an eye out for botanic-inspired table accessories and breaded wreaths. Or bring in some greenery by including luscious garden plants in your decor scheme, along with juicy dark red and purple fruits. These natural finishes enhance the beauty of cooler metals and glass. For an easy detail, try placing a few handfuls of berries into iced water for a cool contrast. Personalising your home never goes out of style so try to add an element of family into your design. Be creative and let your family’s traditions speak for themselves by incorporating heirlooms and photographs to your dining room. Get started on your DIY journey with chalk paint and buy everything you need online via PriceCheck now. Want more home and gardening reads? Here 3 Vegetable Seeds that Thrive in Winter. Check out our House & Home section for great decor, gardening, and DIY reads.